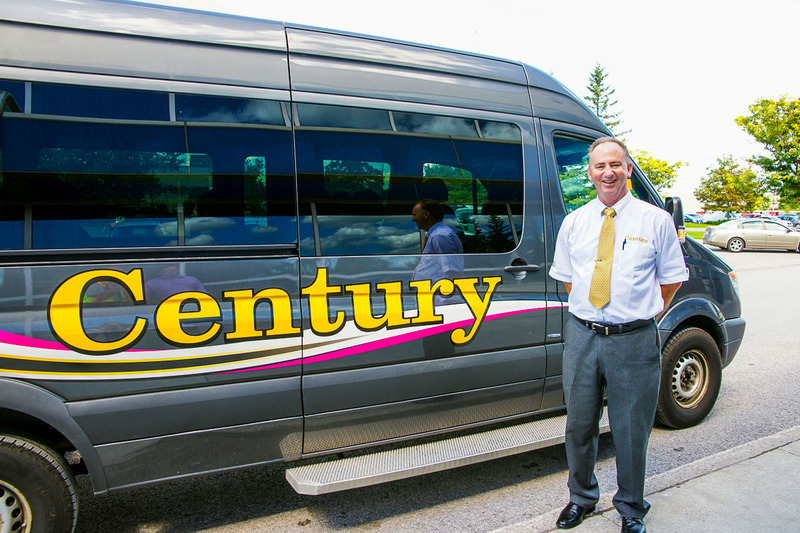 Toronto Airport Shuttle | Century Transportation Ltd.
Century Transportation Airport Shuttle Service is a premier provider of safe and reliable airport shuttle and charter transportation serving all communities across Southern and Eastern Ontario. We provide luxury door to door shared ride and private vehicle transportation to and from Lester B. Pearson International and Billy Bishop Airports along with charter service to your corporate event or leisure outing. We are committed to develop and maintain a long-term relationship with our clients, providing them with over 25 years experience of quality service that is based on reliability, responsiveness, and courteous professional drivers. NOTE: Highway 407 toll-road charges are not included in standard rates, an additional $30 fee will be charged for the driver to use the 407.